"Amazing show! The six man tag stole the show with dennis/hero a close second! Also Will Osprey was a fantastic guest due to his very approachable nature and his willingness to do anything to make fans happy. Well done all of you"
OH MY GOD. 10/10 event it really does NOT get any better. The 3vs3 and Main Event were EXCEPTIONAL stand outs but the entire card was amazing. You just locked in a life long fan. THIS IS CHAOS! HERE TAKE MY MONEH. Amazing show across the board. Danny Jones was made out to be superhuman with this show.rnRiley as the new champ is fantastic he deserves it. The rumble was great and even the lack of a buzzer was made up for by the lively crowd atmosphere. rnI will say some booking made me question some things such as the 8 man tag not being no DQ but Horgan used a chair and didn't get DQ'd even tho the ref was quite literally talking to him. rnThe women's match was decent but it ended abrubtly. Shax is a fantastic performer and KLR is one of the best in the world but with the somewhat tame, technical start combined with a roll up finish i'd argue it as the weakest match of the show.rnFlash Morgan Webster is the obvious MVP of this show. Carrying many top spots in the 8 man tag as well as being memorable in the rumble while not in it long. The pop for Eddie Dennis was unbelievable especially considering he seems to be a heel quite literally everywhere else. Jody and Grizz really got the crowd fired up at the start.rnAmazing title match between the two but until the post-rumble events I was baffled as to why the main title opened. Also as a hopeful feedback to Dave Mercy himself, I hope Chaos finds some new top heels now that the brotherhood is done for. Parker and Grizz can only take the brand so far. The "threat" of a 4 man brutal force is gone now, and chaos will not be the same. "An awesome ride through wrestling from old school to the new. My son's had one of their best wrestling experiences ever. Thank you for a fantastic night." 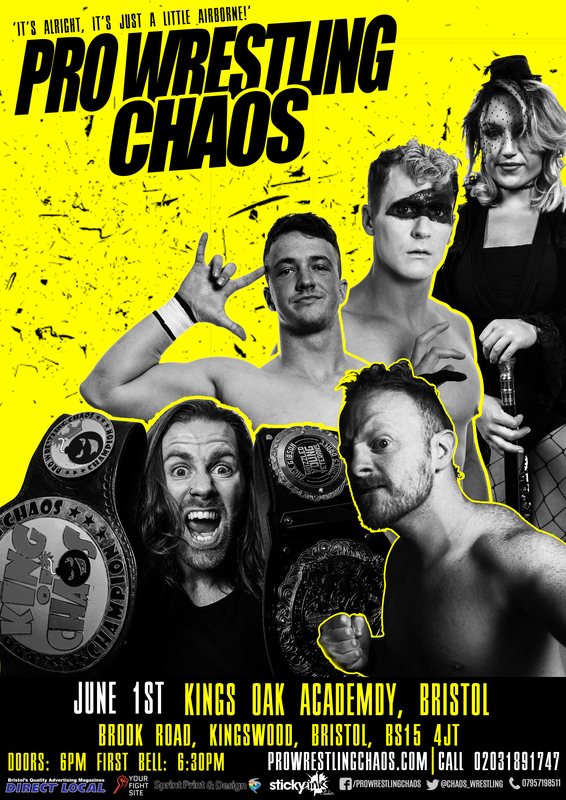 "Well what a fantastic evenings entertainment I had at Whitchuch on Saturday Thank you Chaos wrestling I have been to WWE and TNA events before but for value for money Chaos knocks them out of the ring I will certainly becoming to your future events and telling my friends to keep those dates free so they can experience the atmosphere you create "